Enright Park: Pop-Up Play Date : Cardboard City! 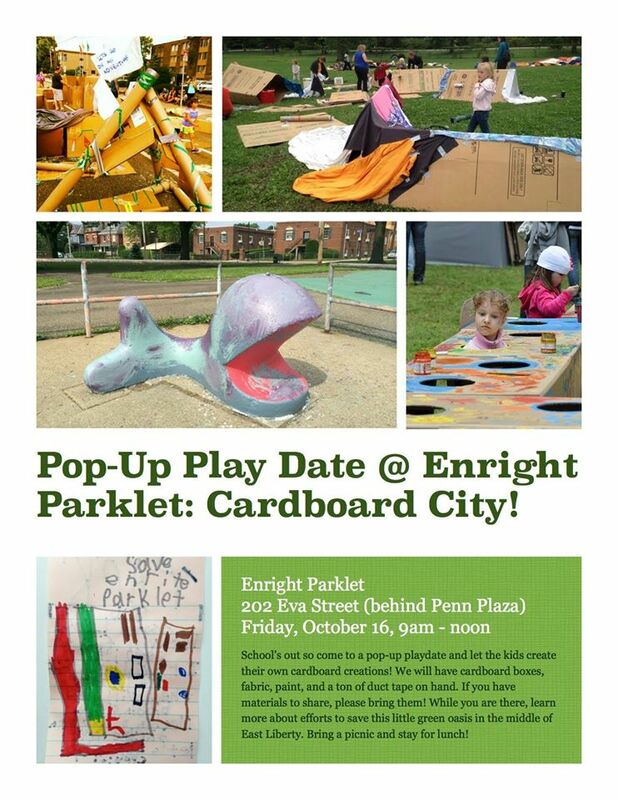 We are super excited to announce our first Pop-Up Play Date @ Enright Parklet! Please join us on Friday, October 16, 2015 from 9 AM - 12 noon to help us build Cardboard City! Pittsburgh Public Schools are closed on Friday, so bring a picnic and stay for lunch. For more information, please follow Save Enright Parklet on Facebook and follow @enrightpark on Twitter. YEAH thats nice!but still my advice is better https://kovla.com/blog/11-commandments-for-successful-russian-online-dating-you-should-know/ chek it out!